As a division of Forest River and Fortune 500 Berkshire Hathaway, Prime Time is certainly a market leader in fifth wheels, travel trailers, and ultra-light travel trailers. Due to their Fortune 500 ties, Prime Time Manufacturing has unmatched purchasing power, which ensures each unit is of the highest quality. Prime Time’s financial strength is the assurance to their customers that they will be there to serve you for years to come. With over 100 years of manufacturing experience, each member of the Prime Time management team has a diverse skill-set and expertise to help their customers. Every Prime Time RV goes through a 65-point inspection before it ever leaves the factory and an additional inspection at our dealership. Customer Satisfaction is at the heart of the Prime Time mission. 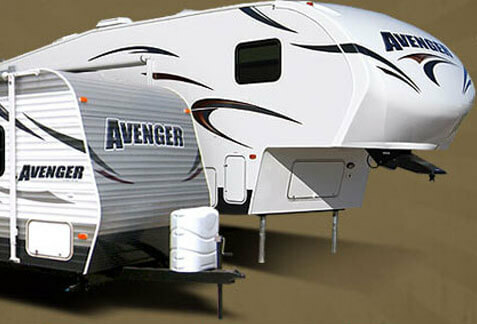 With brands such as; Avenger, Tracer, Lacrosse, Crusader, and Sanibel, you are certain to find an RV that will meet your needs.